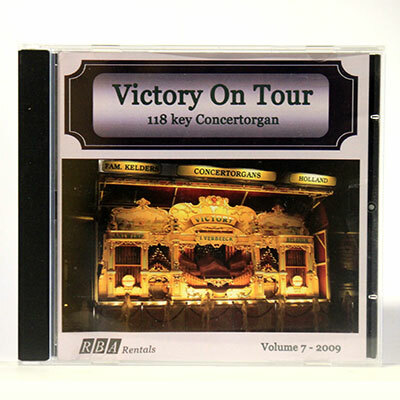 Since 2011 is the Victory on Tour society, in combination with RBA rentals active in the decoration of longtime running christmasshows with mechanical organs as main theme. 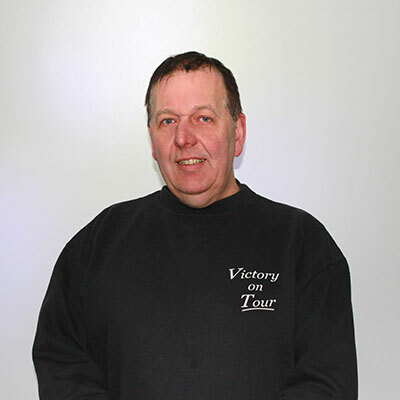 The Victory on Tour society travels all over Europe to entertain visitors of different events and shows. 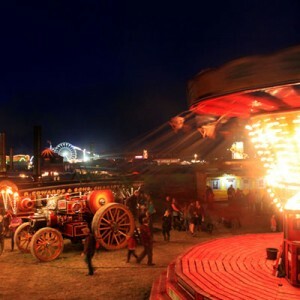 Please do not hesitate to ask what we can do for your event. 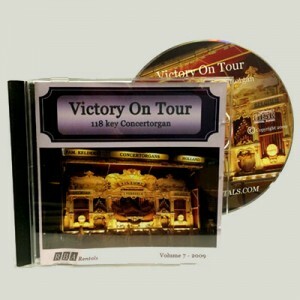 Victory concertorgan, the world’s largest transportable mechanical organ. The extreme balance in between of the many different registers, it is not only possible to play the more traditional organmusic, but also all classical masterpieces, symphonic rock, pop and chart hits are no problem for this extraordinairy instrument. 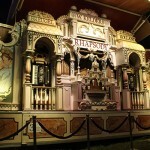 Rhapsody dancehallorgan, The largest travelling dancehallorgan. 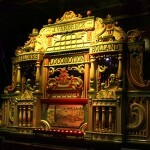 A unique mechanical dancehallorgan with an enormous presentation and amusementvalue, completely built in the style of the Mortier dancehallorgans of the roaring twenties of the last century. 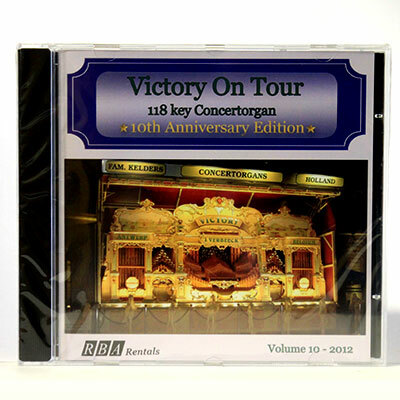 The Locomotion, the smaller version of the victory. 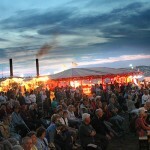 The Locomotion is a unique combination of a Dutch street and a Belgian dancehallorgan. This results in a surprising organ with a versatile and wide musical possibility. This all in a very modest size. 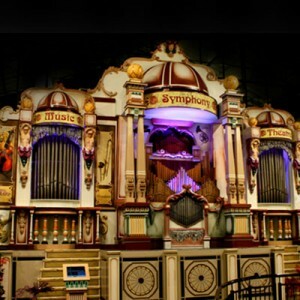 The Kelders family in cooperation with RBA rentals have found a system to match different styles of organs, so they are able to play fully synchronized. 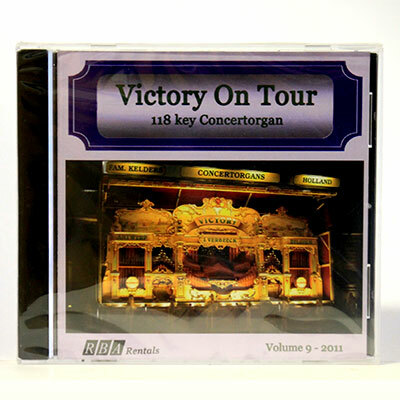 The start was to play the Victory together with the Locomotion. Followed shortly after that success with a matching large screen in between of both organs. Willem Kelders’s father, Jan Kelders, was born in Boxmeer in 1928 and came from a family of no less than nine children. Jan Kelders was, until the birth of his son Willem Kelders, occupied with a life as a musician, but soon it showed that there wasn’t enough interest in the subject anymore. He then committed to exploiting fish’n chips stands. This didn’t take long. The company fell apart in 1964, but only a year later, it arose again, and it started to purchase mainly antiques. 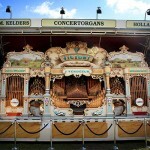 This signaled the start of the purchase of multiple fairground organs.